About 20 privately owned Greek islands are currently up for sale, some for the first time in generations. It’s the ultimate dream property of the super rich: your own Greek island, drenched in sunshine and surrounded by turquoise water. Ms. Rybolovleva’s neighbor a few islands to the south on the islet of Oxia, is reportedly the former emir of Qatar, Sheik Hamad bin Khalifa Al-Thani. 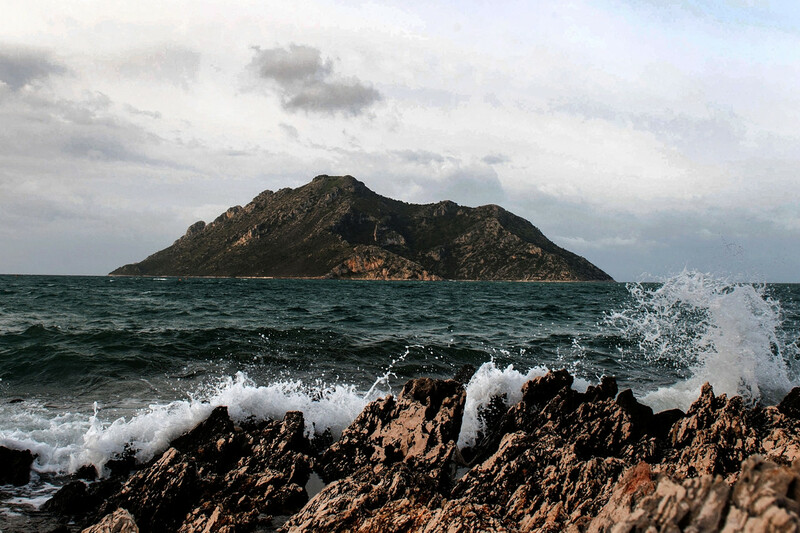 Last year, the Athens-based investment group Pima bought the islet—a 1,236-acre uninhabited island in the Ionian Sea off Greece’s west coast—for about €5.5 million, or $6.9 million. A representative for the investment group says Pima was acting on its own, though two local government officials say the group was buying on behalf of the former emir. Efforts to reach the former emir were not successful. Prices for these islands can run anywhere from a few million euros to more than €100 million, depending on amenities such as running water, electricity—and, in some cases, mooring facilities for a yacht. Still, property experts say prices are down overall—as much as 30% from pre-crisis levels. Most of the 20 islands on the market are completely undeveloped; some have wooded areas, while others are mostly rock. Nissos island, in the Ionian sea five nautical miles off mainland Greece, is priced at about $6.8 million and can accommodate six houses of up to 130 square meters each, according to broker Savills. Nearby Omfori Island, priced at nearly $62 million, has one small building on the island with permissions in place to build on 20% of the 1,112-acre island, according to the real-estate listings site Private Islands Online. With some 6,000 islands and islets, Greece has no shortage of supply, but island ownership can come with its share of headaches. Most islands aren’t suitable for development, and access to many of them is difficult—especially given Greece’s restrictions on private seaplanes. The red tape is fearsome: To buy an island, up to 32 bureaucratic steps are required, including background checks to determine whether a prospective buyer would pose a threat to the country’s national security. 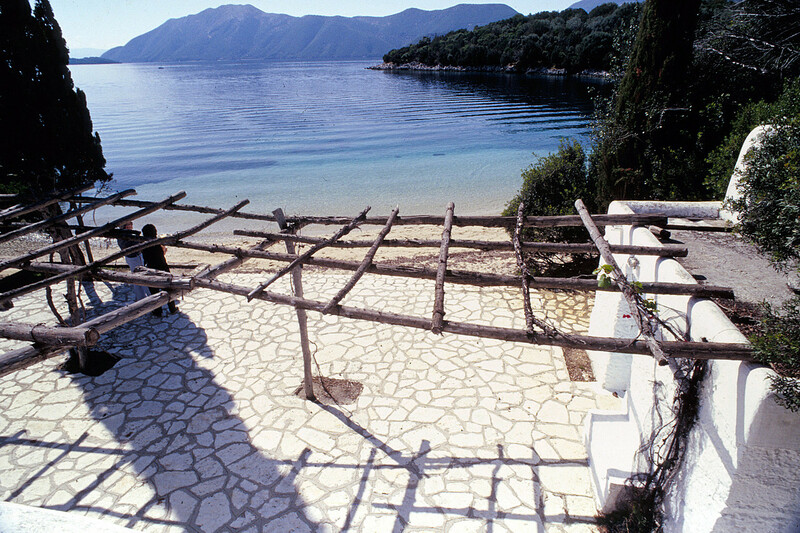 Another turnoff for some buyers is that, in Greece, all beaches are public. That means no matter how remote the island or how high the price tag, anyone with a yacht can show up, uninvited, for a swim. Sometimes, there are issues with the locals. 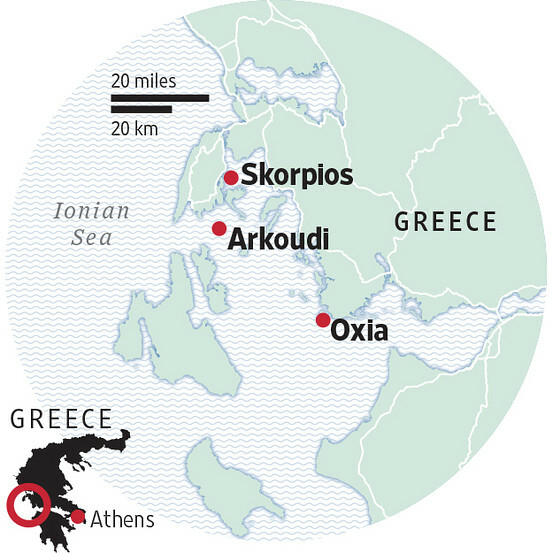 Greek businessman Yannis Perrotis, managing director of real-estate company Atria Property Services, set his sights on developing the small, privately owned island of Arkoudi in the Ionian Sea almost a decade ago. He is considering building an exclusive super high-end resort with luxury villas, a hotel spa, a marina, and recreational and sports facilities and sports facilities—all at a cost of between $312 million and $375 million. But Mr. Perrotis discovered that his uninhabited island actually had residents: a shepherd and his flock of goats. It took him more than two years to get them off the island. Some Greek island owners—many bequeathed their islands from distant family forebears—are reassessing the value of their land in the face of the financial crisis and the new tax laws. Athens, under pressure from its international creditors from the Eurozone and the International Monetary Fund to fix its public finances, this year introduced its first permanent tax on real estate. After a decade in which only a handful of deals have taken place, say property experts, suddenly, a private island has become a possession that many owners no longer have the luxury to maintain. 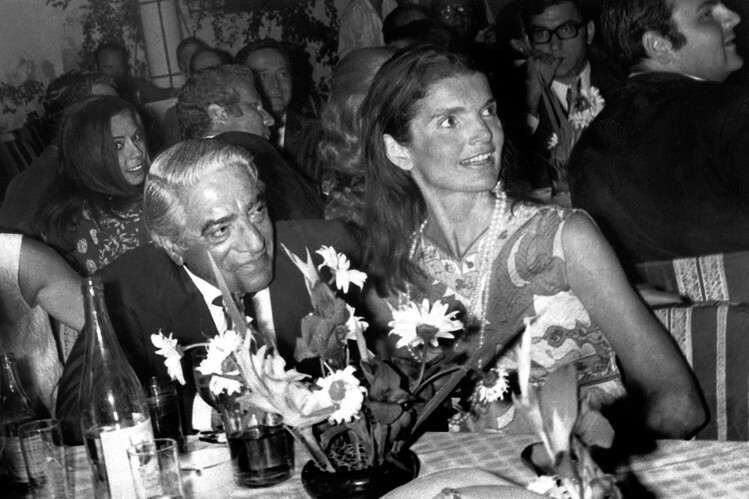 This entry was posted in Luxury Homes, Real Estate, Uncategorized and tagged Aristotle Onassis, Greece, Greek island, Greek islands, Island, Jacqueline Kennedy on December 14, 2014 by Bone Fish.